The decorations and lights have come down, the sweet treats reduced to a few remaining crumbs, company has returned home, and the joy you felt spending time with loved ones over the holidays has been replaced with the blues. 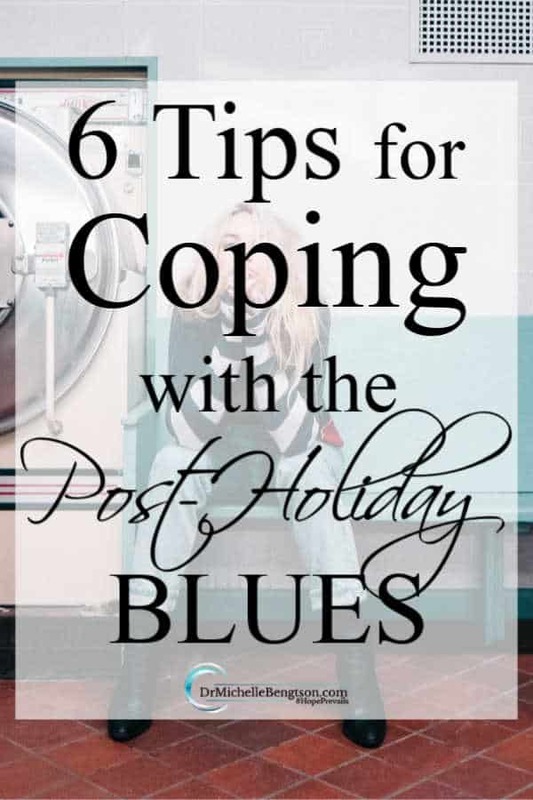 The post-holiday blues are a common experience. The holidays afford the opportunity for many more pleasurable experiences, within a compressed period of time, than we normally encounter in our day to day lives. Routine and consistency are good, especially for productivity and accomplishment, but such days can sometimes be accompanied by a lack of fulfillment, or at the very least, diminished pleasure compared to our vacation and holiday ventures. And then we return to work or school and become inundated with our colleague’s photos of crystal white beaches while we were home shoveling snow, or sniffling from a cold. That just seems to add insult to injury. Returning to our everyday life following the holidays can also carry the weight of “having to catch up” on all that didn’t get done in your absence. 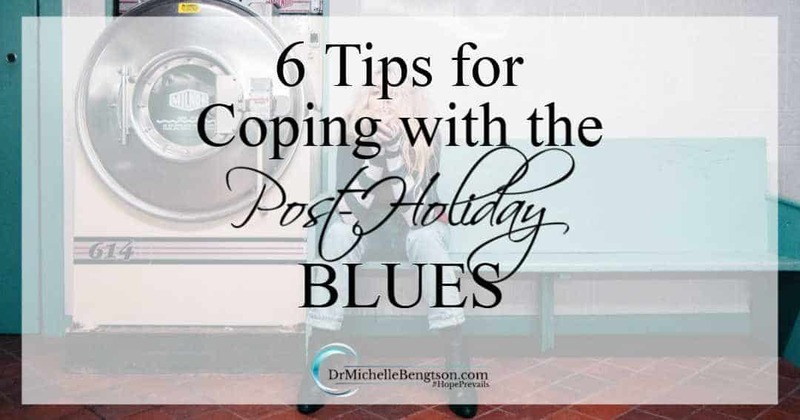 That burden can add to the blues we feel, as if it isn’t worth the time we took off to enjoy our loved ones and celebrate the holiday. For many, the holidays were a painful time, missing loved ones or expectations going unmet. That often then just spills into January. We don’t, however, have to take the blues as a foregone conclusion. When we begin to sense it’s arrival, determine to take matters into your own hands. Part of the reason the holidays are such a highlight of the year for many is because there is a period of time where we dispense with many of the things that are normally necessary (like work or school), and prioritize doing things we enjoy. Part of the way to combat the post-holiday blues is to plan things you enjoy over the upcoming weeks and months to give you something else to look forward to. Make a list of things you enjoy from coffee with a friend to a vacation, and then plan them in your schedule. Ideally, have something planned each day that you enjoy, even if it is something as simple as sitting in your back yard appreciating the sunset after work. It is too easy (and I’ve been guilty of it in the past too) to think of returning back to work as “I have to return to work and I don’t want to.” That impacts how we feel, because our feelings are the outward manifestation of the thoughts we believe. 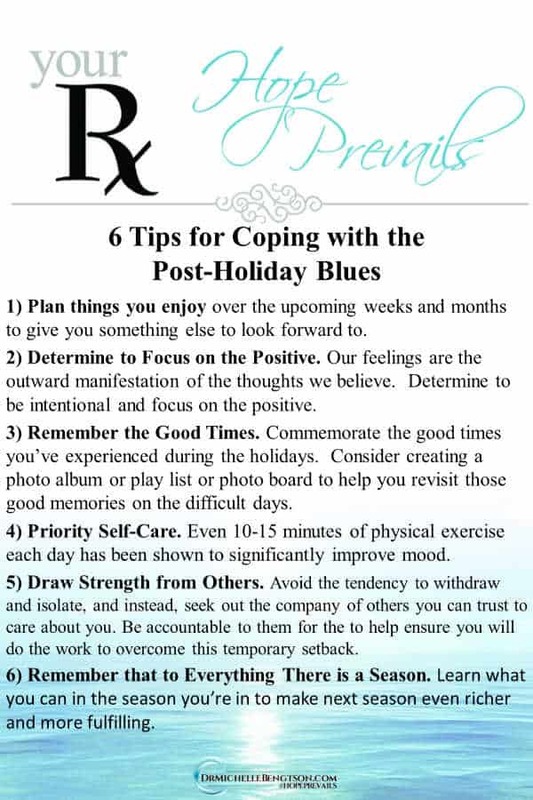 Instead, focus your thoughts on the positive, such as, “I get to start working on a new project with co-workers I’ve been wanting to get to know better.” Those who have a greater tendency to focus on the negative or believe things will be hard, are more likely to experience the blues or a true case of depression. Be intentional and focus on the positive. Because the holidays are often associated with more pleasurable activities, take advantage of that, and commemorate the good times you experienced. Consider creating a photo album or playlist or photo board to help you revisit those good memories on the difficult days. During the holidays, our healthy habits often take a backseat to the hustle and bustle of the season. Time is limited, yet we feel the pressure to do more. The only way to do more is to rob from other areas of our life, like our time to sleep and exercise. If you want to feel your best physically and emotionally, it’s time to resume a regular bedtime with sufficient sleep each night, and get back to a healthy, nutritional diet without the excess sugar, carbohydrates, and alcohol that seem to co-exist with holiday celebrations. Resumption of even 10-15 minutes of physical exercise each day has been shown to significantly improve mood. Don’t forget to make plans for your next spell of time off to refuel and recharge your personal batteries. 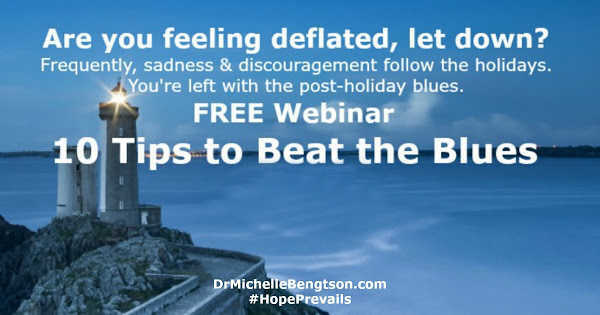 Experiencing the post-holiday blues can feel like you are on a lone journey through a valley of despair. Avoid the tendency to withdraw and isolate, and instead, seek out the company of others you can trust to care about you. Draw strength from others, and be accountable to them for the above actions, to help ensure you will do the work to overcome this temporary setback. Scripture declares that to everything there is a season. What you are experiencing now is a season, which means it is temporary, and with enough time, this too shall pass. Consider this time as a time of preparation for your future endeavors. Learn what you can in this season to make next season even richer and more fulfilling. What other things have you found helpful for overcoming the blues? Share with us in the comments below. 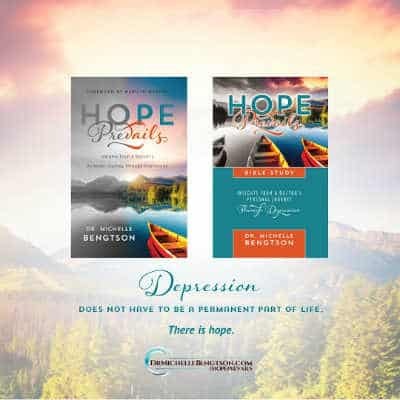 If you, a loved one or a friend are struggling with the blues, the 10 tips in this free resource are practical and full of encouragement to help you take action and beat the blues. Love your tips, Michelle! I just started writing a post on the winter blues yesterday to post this week. Your article provides a great resource to offer my readers. Great post. What a great idea. I do think the lights of Christmas help spark some child-like joy, so maybe the use of lights at other times would also help cheer the spirit in the winter months. I light candles often, but I like your idea. Thanks for stopping by. Thank you Lauren. I hope that this will encourage others and give practical suggestions for dealing with this important and all-too common concern. I’m more the opposite. I am such an introvert that I am ready for the holidays to be over so I can return to my normal routine! I have more trouble with these months because of the cold, short days. Thanks for the reminder to focus on the positives until spring comes! I can understand that. I’m more of an introvert too. When I lived in Michigan (which I loved), I struggled through the long winters with cold, short, darker days. Thanks for stopping by. I hope we see you here again! Visiting from #TeaAndWord today. This year I haven’t had too much of this problem because I started back to school. So my mind and body have been very engaged. Ah yes, I think that does help…when we have a purpose and a focus on something other than our circumstances or our feelings. Great strategies for coping! I’m fortunate that I live where we have a lot of sunshine–even in the winter. When I used to live in Montana, I struggled a bit more with the short days and cold weather. Anita, it sounds a bit like me and where we are living now compared to when I was growing up and was a young adult in the long, often dreary Michigan winters. I’m so grateful for the days when the sun shines bright! Such an inspiring post! Thanks for linking up to Best of the Weekend. In case you didn’t see, you were one of my features! Thanks again for joining us and have a great weekend!